Stony Run Brew House on a Friday evening. Jamie Kinsley Photo. Two things I love – history and beer – are now available at Stony Run Brew house on East Market Street. Opening just five months ago, the brew house has a full dinner menu and about a dozen hand-crafted and house-made beers. I recommend the York City Pretzel Bites and Vegetable Spring Rolls paired with Emily’s dream Mango Milkshake IPA. Up until June, the trio had other full-time jobs. 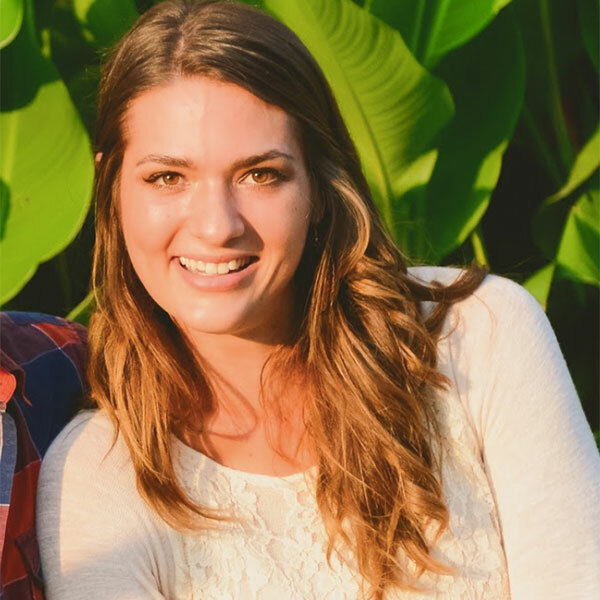 March was a logistics manager for a construction company, March II was an operations manager for ES3’s automation and robotics department and AAA Southern PA, and Elmiger first got into the brew business when he opened Bailee’s Homebrew and Wine Supplies, located right next door to the brewery. 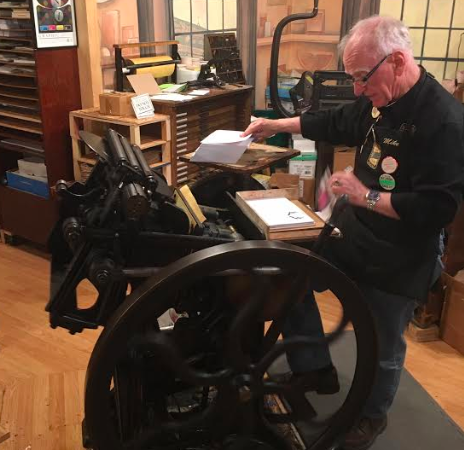 Bob Elmiger has an interesting life story. He worked construction for over 42 years and played international-level rugby until the age of 64. 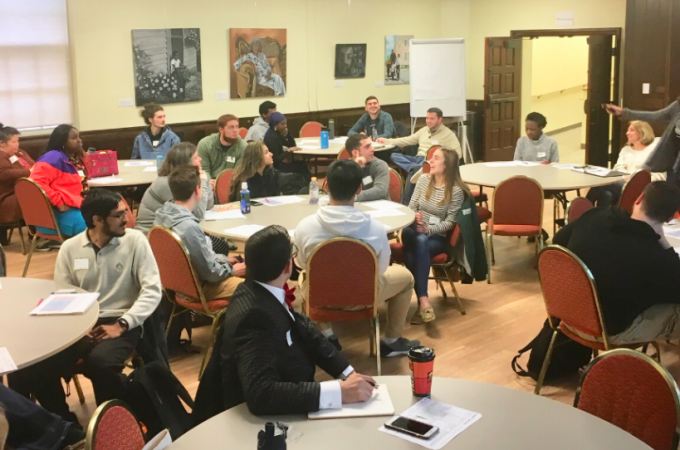 Caring for the adult education, he taught people who have been underprivileged such as prisoners and non-traditional students in Baltimore City trade skills. To add another layer, Elmiger is an ordained minister. While March operates as the lead brewer, March II performs the business operations while Elmiger functions as the general manager. Tim March, owner and lead brewer at Stony Run, chats with a patron. Jamie Kinsley Photo. 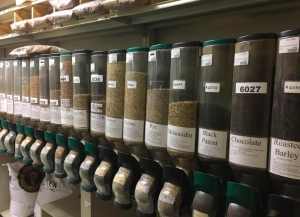 Malt for sale at Bailee’s Homebrew and Wine Supplies. Malt sourced locally. Jamie Kinsley Photo. March home brewed beer for quite a few years. His eight years of experience encapsulated all his passions: chemistry, flavors, and getting to drink his experiment. Stony Run tries to locally source its products and its been quite successful. Most items come from the region including grain from Deer Creek Malthouse in PA and hops from Carlisle and Ritz Hop Yard in Hellam. 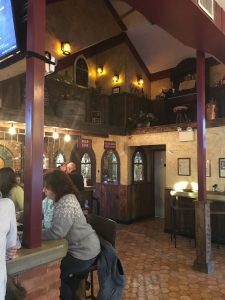 Stony Run Brew House’s old world interior design. Jamie Kinsley Photo. What attracts patrons to Stony Run is its location. “We’re off the beaten path,” March told me. “Some people may not want to go downtown. 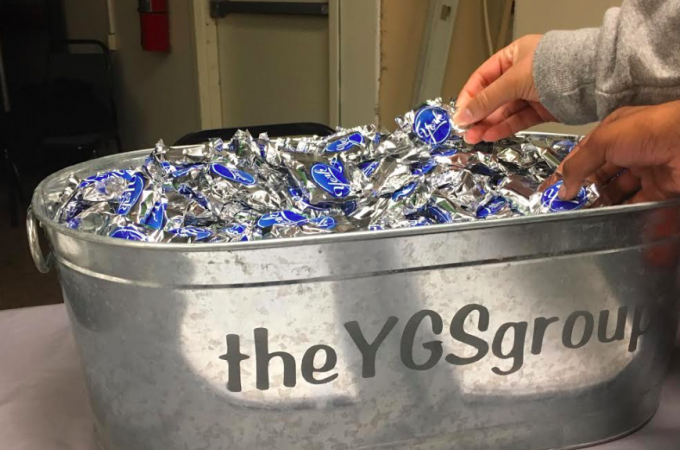 People have been waiting for something like this to open up between York and Lancaster.” Due to its immense success since it opened in 2018, the brewery is looking for a satellite location in York’s downtown; however, its only in the investigative stages. 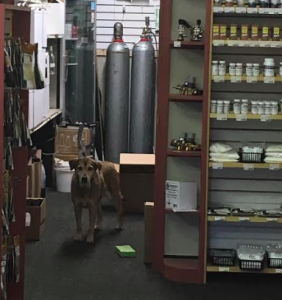 Bailee, Bob Elmiger’s dog, goes to work everyday at Baliee’s Homebrew and Wine Supplies. Jamie Kinsley Photo. This friendly attitude was laced throughout my entire visit to the brewery. As a researcher/blogger/journalist, sometimes people are hesitant to allow me into their lives, understandably. However, March and Elmiger were extremely warm and welcoming. And, this treatment was not unique to me. 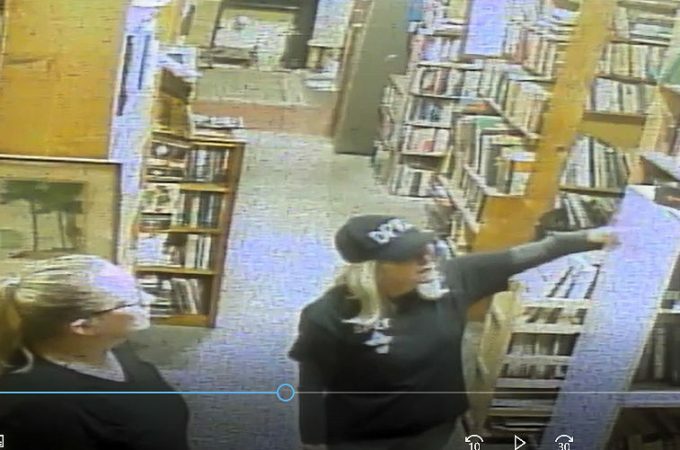 I watched as they greeted customers, chatted with people at the bar, and constantly checked on customers. Now, I could be a little biased because, as my friends know, the animal-lover in me could have fallen in love with Bailee, the affectionate golden lab who accompanies Elmiger to work everyday. 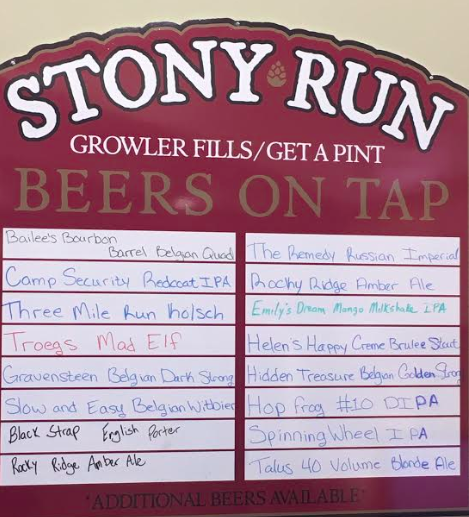 Stony Run Brew House has 14 beers on tap in addition to two guest taps. March matches the style of the beer with a name that reflects York. “The names just come to me,” said March. 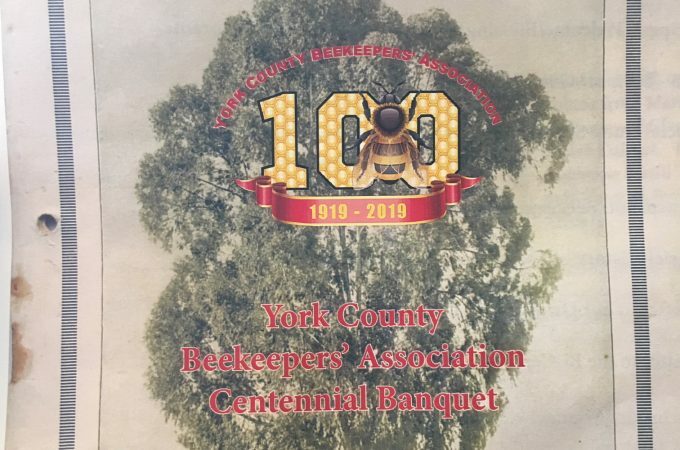 He went to the York County History Center’s archives to get as many historical facts as he could from the 1700s, 1800s, and 1900s and applies them to his beers. Camp Security Redcoat IPA – Named after an American Revolutionary War Prison Camp in York from 1781. March felt his intentionally, British-flavored red IPA reflects the stockade and living quarters built on a local farm where British privates and noncommissioned officers were held. Camp Security was abandoned in 1783 when the war ended. POW Camp Security Site. YDR Photo. Three Mile Run Kolsch Style Ale – Named after a waterway crossing in Springettsbury Township under East Market Street, Northern Way, and Eastern Boulevard. 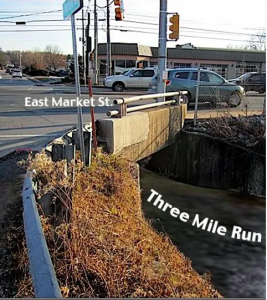 The Three Mile Run got its name due to its distance – three miles – from this point to the square in York as well as a neighboring inn called Three Mile House. Street view of Three Mile Run. Stephen Smith Photo. 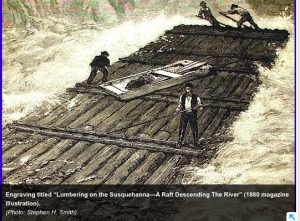 Lumber rafts on the lower Susquehanna River. Stephen Smith Photo. Hidden Treasure Belgian Golden Strong Ale – In 1778, James Rankin, a Yorker, is said to have buried a large amount of gold and silver on his Springettsbury Township property. 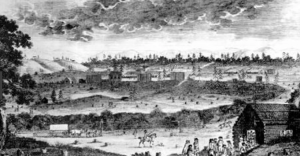 Remaining a British loyalist during the Revolutionary War, he was arrested and jailed in Yorktown as a “traitor.” After escaping from jail, he fled to England and his buried treasure was never found. 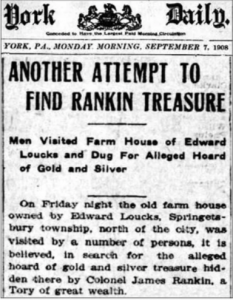 Newspaper from 1908 covering alleged buried treasure. Stephen Smith Photo. Even Stony Run Brew House got its name from the York landscape. Stony Run, a creek, originates up at Rocky Ridge Park. And, the Rocky Ridge Amber Ale happens to be March’s favorite beer on tap – an amber ale with a malty caramel flavor. 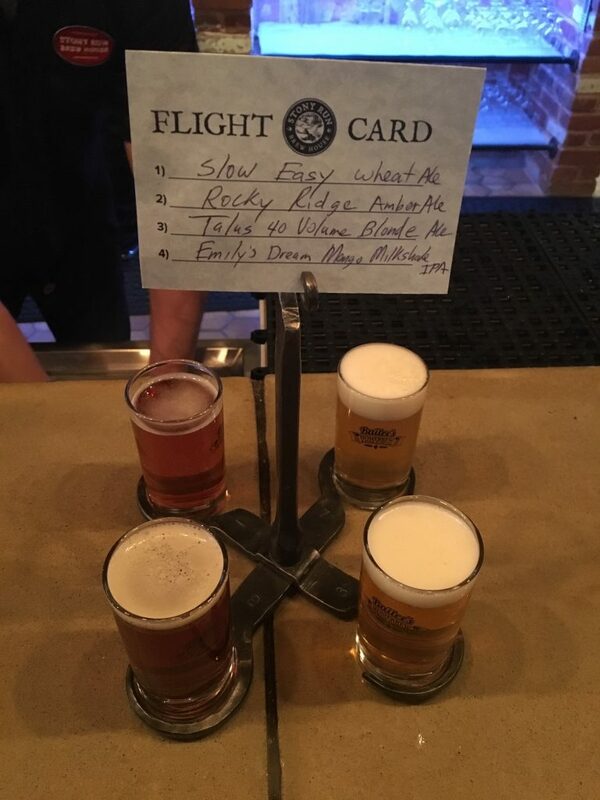 A list of Stony Run Brew house’s beers on tap. Most are named after local events, people, and places. Jamie Kinsley Photo. To the owners of Stony Run Brew House, supporting the community is important. Elmiger told me that the brewery “sort of takes from the community when you have a business. That’s why we believe in giving back.” For example, with every beer kit it sells, it makes a donation to the SPCA. Additionally, two times a year it holds fundraising events for good causes including 4AydenStrong Foundation. It plans to keep its eyes and ears open for children in the area who may have health issues so it can raise money for them, their families, and research. Elmiger and March explained their dedication to providing quality food, exceptional beer, a fun environment, and good service. 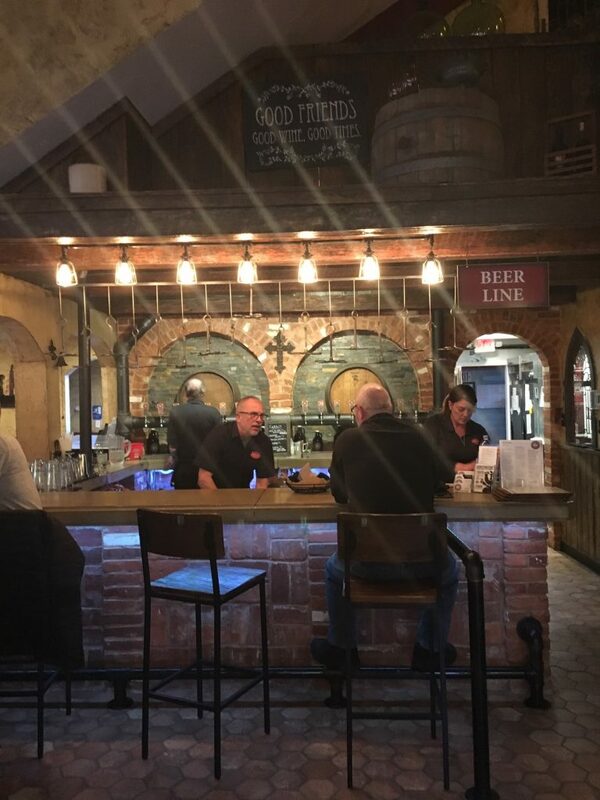 The brewery and restaurant is open Tuesday through Thursday 11am to 9pm, Friday and Saturday 11am to 11pm, and Sunday 12pm to 7pm. Its plans for the future include a building expansion, beer garden, event room, and the downtown location. While visiting Stony Run Brew house, I tried the Slow & Easy Belgian Wheat Ale, Rocky Ridge Amber Ale, Talus 40 Volume Blonde Ale, and Emily’s Dream Mango Milkshake IPA. Jamie Kinsley Photo. 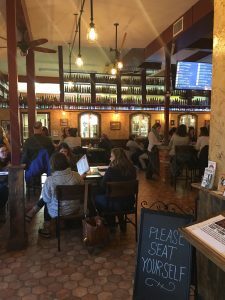 Nice post … the Stony Run Brew House has a neat “History on Tap” concept. Tim March contacted me in 2017 about their intent to honor local history in naming their beers. He referenced some of my YorksPast posts … thanks for sharing those links. Your years of research and quality blogging made it easy for me! Thanks, Stephen.